Whether you are coming to us to repair & correct, restore or calm your skin, maintaining the optimal health and vitality of your skin is our number one concern. Our facials are a result of proven scientific research and development and are designed with the very best cosmeceutical ingredients to ensure maximum results. Prior to a recommended skin care protocol, Mindi will evaluate your skin to determine the best approach to your particular needs. You will be offered two treatment plans that will give you options for achieving flawless skin... an accelerated plan for those seeking the fastest results as well as a moderate plan for those who have time or budgetary constraints. Regardless of which plan you choose, Mindi will provide you with home care instructions, custom samples as well as answer any questions you may have. 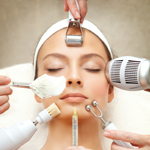 Rejuvenate Your Skin Signature Facial Includes a mini-peel, deep vitamin penetration and mask. This anti-aging treatment (customized for your individual skin type) focuses on improving the overall structure of the skin on the face, neck, hands & arms. It is a specialized intensive treatment focusing on penetration with DF Machine of active Vitamins A, C, E, beta-carotene, and growth factors. A light peel will be applied to exfoliate, hydrate, and regenerate healthy new skin cells while active vitamins and minerals help to improve texture, diminish fine lines, and firm skin, along with an Alginate mask to give a glowing youthful appearance. 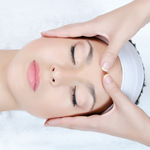 This treatment includes care of the face, neck, décolletage and hands and arms. DF Machine will penetrate natural vitamin A & C for a more intensive conditioning treatment or maintenance once per month for healthy skin on all skin types, including sensitive skin. 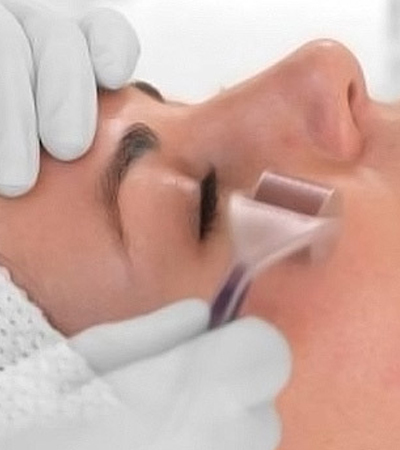 This treatment has been successfully used for photo damaged skin with generalized fine wrinkles and pigmented skin. Best when done in a series. This unique, scientifically proven exfoliating treatment with nourish the skin with natural vitamin C. The DF Machine will penetrate the products to assist in the production of collagen better than any other peel available. Client must be use to higher doses of vitamin C. Indications for use are established deep lines, rough photo aged skin, pigmentation problems, freckles, scars and upper lip lines, Best when done in a series. High doses of vitamin A are penetrated deeply into the skin for scarring, deep lines, wrinkles, lax skin and more severe hyper pigmentation. 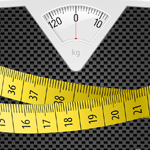 Client needs to be on higher doses of vitamin A. (Stage2) Treatment may be alternated with Masque Crystal. You've never experienced a facial treatment like this one. What better way to rejuvenate dull, tired and dehydrated skin than pure oxygen. 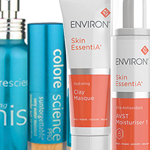 It begins with a deep pore cleanse and toner, then oxygen exfoliation enzyme mask, extractions and massage. Next, a hydro mask infuses pure grade oxygen gas and specially formulated serums into the skin's deepest layer. Oxygen treatments are highly effective in the pre-operative and post-operative skin care of surgical and laser patients, reducing their healing time and discomfort also perfect for smokers or people exposed to pollution or recycled air. Add microdermabrasion to encourage circulation, stimulate the synthesis of collagen & elastin and reduce fine lines and wrinkles. An extraordinary treatment, which done alone or in a series of six, gradually increases the concentration and penetration of professional medical grade anti-aging ingredients to increase hydration, assist in production of collagen and elastin, decrease pigmentation, and plump up wrinkles. This program includes an at home treatment regimen, including an easy to use instrument and product, that will help enhance your clinical results.